A new report from AidData surveys hundreds of government officials in developing countries to understand what they need to better produce and use official statistics. Today, more than 1,500 data experts from over 100 countries have gathered in Dubai for the second-ever UN World Data Forum to celebrate and innovate around this vital “information backbone.” At the forum, AidData in collaboration with Open Data Watch and PARIS21 is launching our new report on official statistics, Counting on Statistics: How can national statistical offices and donors increase use? Part of a larger project funded by the William & Flora Hewlett Foundation, the report examines the use and usefulness of official statistics in low- and middle-income countries from the perspectives of the main producers of official statistics (national statistical offices, or NSOs) and key domestic users of the data (government ministries), and provides strategies for NSOs and funders to maximize statistics’ impact in policymaking. This report is particularly timely, as governments and donors increasingly recognize the need for new, pooled financing mechanisms to support statistics—such as a proposed global fund for development data—rather than ad hoc, bilateral investments in discrete datasets. But while discussions progress around the best means to crowd in financing to meet the world’s growing demand for better data, it is even more important to ensure these investments improve the supply of statistics in the ways that users deem most critical. To that end, AidData fielded two snap polls earlier this year to nearly 1,200 NSO officials and 8,000 ministry officials in 140 low- and middle-income countries, asking how they currently produce and use official statistics—and what they want from official statistics in the future. 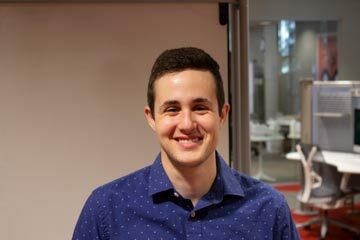 Close to 400 NSO officials shared their views on who they consider the most important and frequent users of their data; how they disseminate data; whether and how they currently monitor data use; what they perceive as the main barriers to data uptake; and what they need to overcome these challenges. Another 650 government officials from five ministries (finance, planning, health, education, and the office of the president or prime minister) responded to a similar set of questions, enabling us to see where NSOs’ perceptions of the use of official statistics converge or diverge from those of their government users. The global coverage of the two surveys additionally allows us to examine how officials’ views varied by geographic region, income level and statistical capacity. See the executive summary for five findings and six recommendations from the report. Do the preferences and perceptions of official statistics producers align with their users? 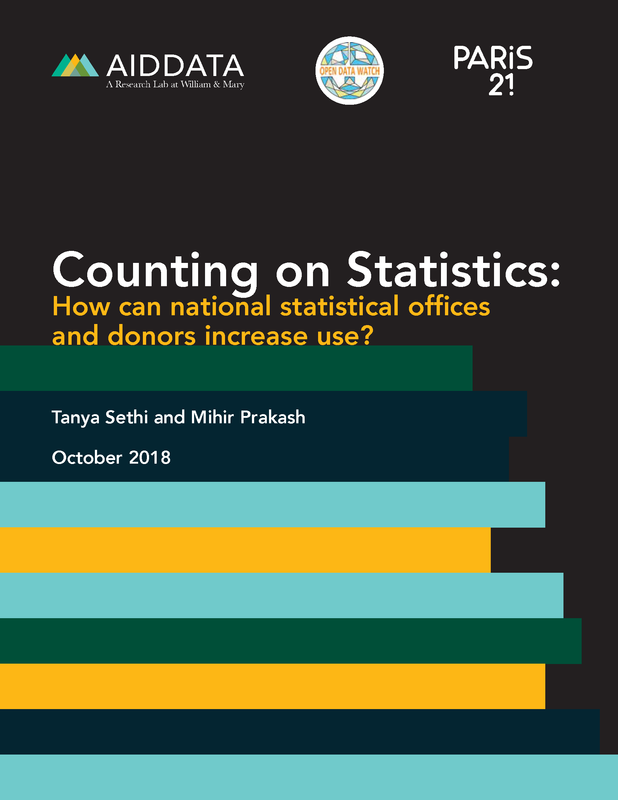 Official statistics are vital for informing domestic policymaking at the national and local levels, with policymakers expressing a need for high-quality data at much more granular levels than ever before. But, do NSOs view domestic policymakers as the most important users of their data? 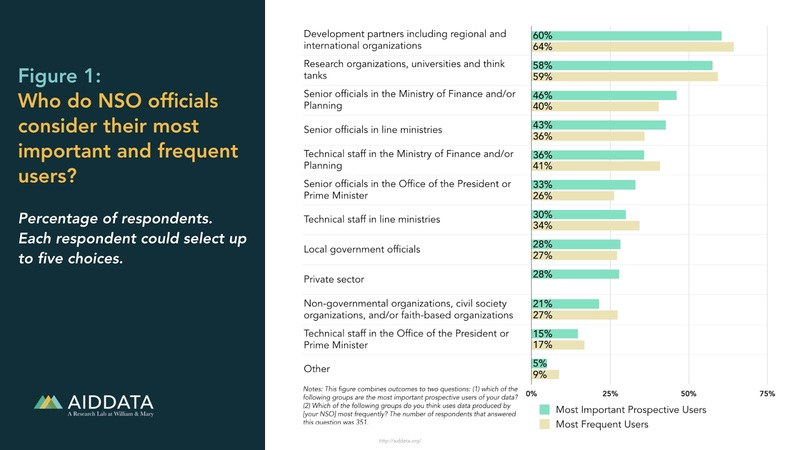 As it turns out, no: we find that NSO officials view international development partners as both the most important and most frequent users of their data. Overall, the importance of domestic actors in the eyes of NSO officials is relatively low, with the exception of domestic research organizations. While it’s likely that NSOs (especially in contexts where domestic demand for data is weak) are responding to the user base with the strongest or most vocal demand, this focus on international users may displace attention from capturing information that is more relevant to decisions made at the national or local level. When it comes to how official statistics are shared, we find important areas of agreement and conflict among NSO officials and government users, with implications for changes NSOs can make to increase uptake. Globally, NSOs and their users are aligned on one key dissemination strategy: posting the data on the NSO website or portal. This was both the top choice for NSO officials to inform users of data, and the top way ministry officials preferred to learn about data. However, the responses of NSOs and ministry officials differ in one critical way. 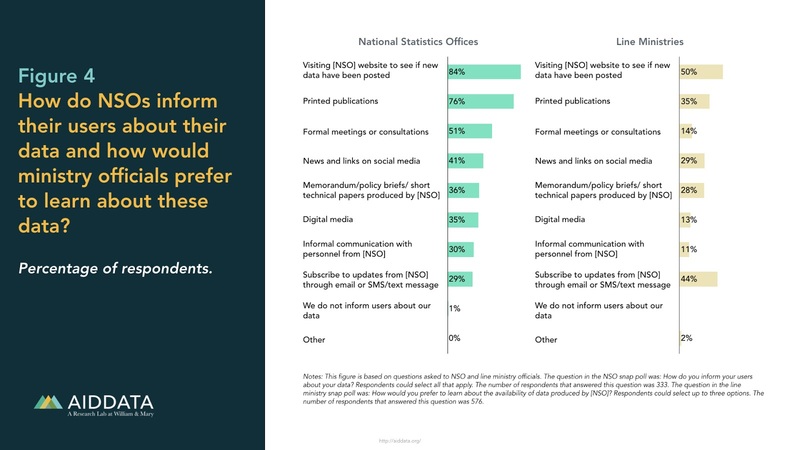 Despite nearly half of ministry respondents saying they would like to receive updates from their NSO via email or SMS—their second most-preferred option—this was the dissemination strategy NSOs reported using the least. (Interestingly, when it comes to monitoring the use of their data, while only 20% of NSOs say they track email/SMS subscriptions, 40% would prefer to monitor use this way). To increase the use of official statistics within the government, NSOs could prioritize a registration system where users can voluntarily register to receive regular email or SMS updates on new data products. 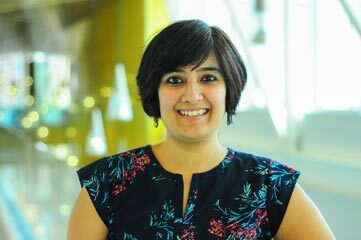 This would be relatively cost-effective, and could yield significant gains in terms of raising awareness of new datasets and boosting data use. AidData will present findings from this report at the World Data Forum on October 23rd, at a panel discussion featuring NSO, development partner, and practitioner perspectives. This event, led by Open Data Watch, will discuss new approaches to increase the use of official statistics in low- and middle-income countries. For more findings and recommendations from Counting on Statistics, download the executive summary and full report. This report is part of a larger project funded by the William & Flora Hewlett Foundation to understand and measure use of official statistics in low- and middle-income countries. Led by AidData at William & Mary and Open Data Watch, this first report draws upon insights from producers and users of official statistics to inform investments that spur greater uptake of these data. 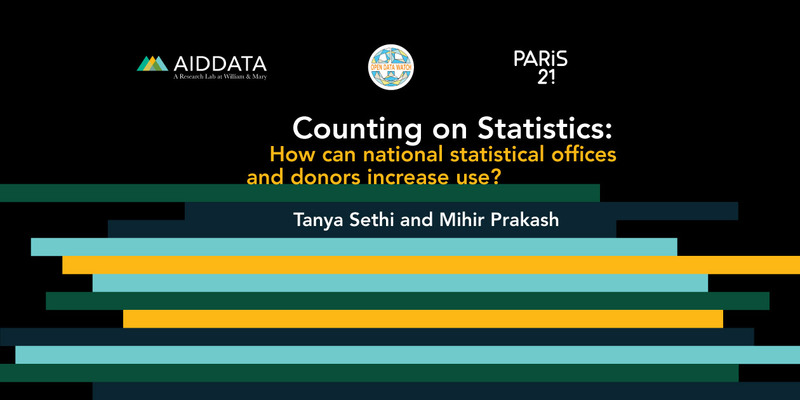 In a complementary effort, the second part of the project, led by Open Data Watch and PARIS21, studies how national statistical systems can most effectively disseminate official statistics by analyzing how users access official statistics through the websites of NSOs.